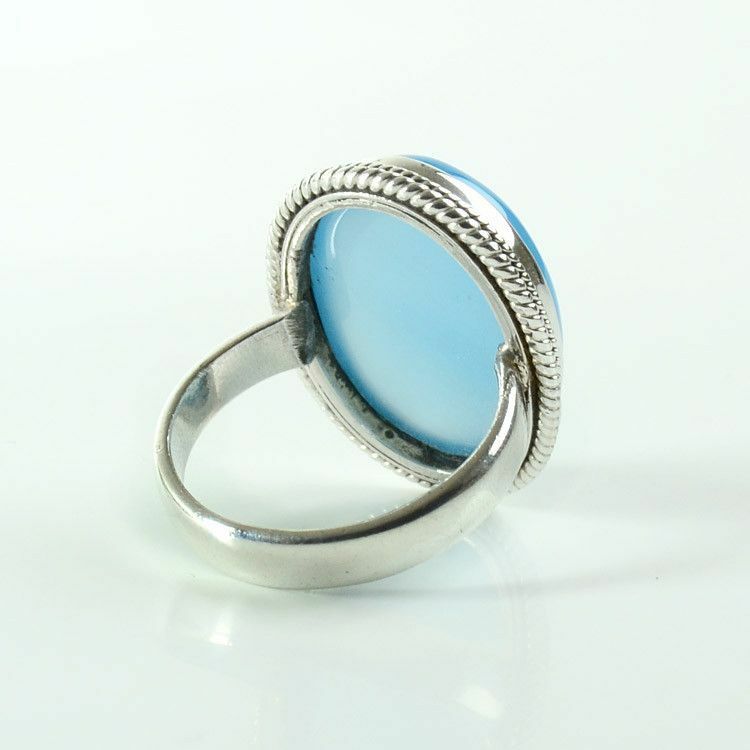 This men's or women's ring features a beautiful blue chalcedony gemstone, Approximately 3/4" x 1" in size. 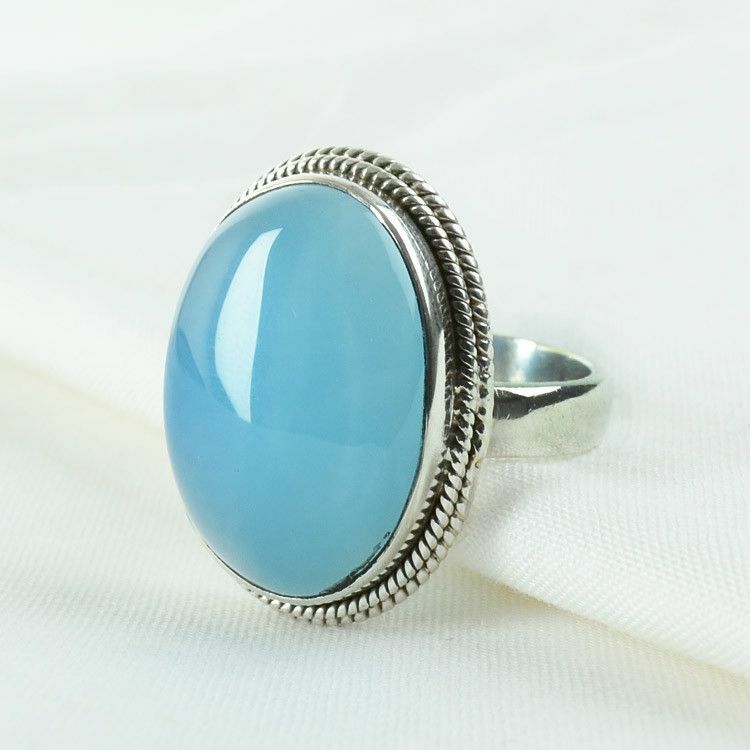 It is surrounded by a rope-like design of sterling silver. Excellent choice for a jewelry gift!